This weekend, one of my best teacher friends and I are in charge of our local Community Teacher Association's funnel cake booth to help support scholarships for high school seniors. I think all the preparations and the anticipated change in temps for Saturday have me feeling like fall! I love fall and can't wait to start decorating! In the mean time, I created a little freebie for you that will hopefully come in handy if you are headed to the pumpkin patch soon! 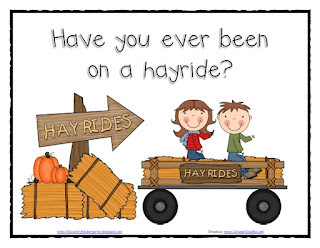 Have you ever been on a hayride? 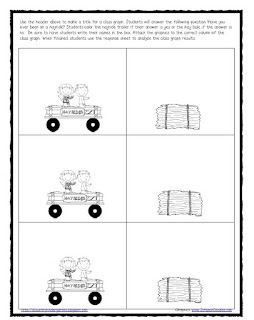 is a class graph and analysis printable to help get your students excited about fall! Just click on one of the pictures below to grab your free copy! Enjoy! 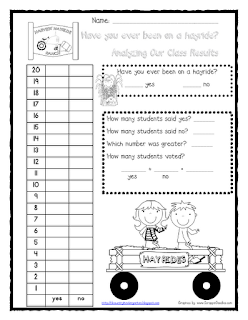 What a wonderful way for the kids to practice collecting and analyzing data! Thank you for sharing! Love this-so cute for the fall. Thank you so much! This is so cute! I love the fall too! Thanks so much for sharing!!! You are so creative! 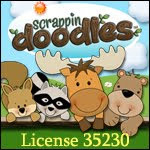 My name is Kaija Purvis and I LOVE your blog! You have so many great things! I just wanted to share with you my freebie! Go to teach2blossom.blogspot.com to download it! Thanks for sharing your many great activities!